J/News Articles: NEW J/121 Offshore Speed Guide! 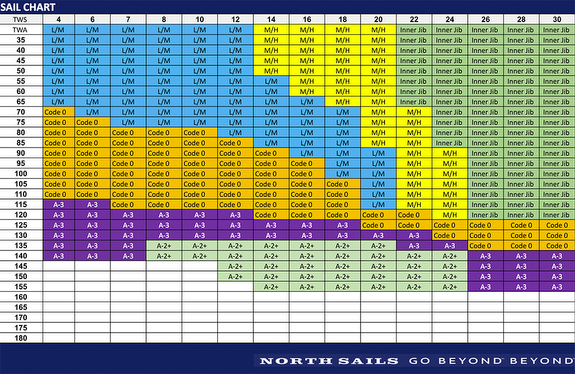 North Sails experts Kimo Worthington and Chuck Allen answer questions in this speed guide for the J/121 offshore class. 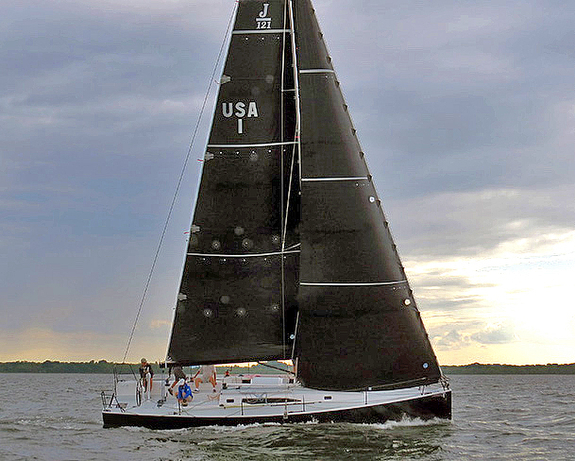 There are several distinct types of people who sail a J/121, and most are experienced sailors. Some race the boat one design, some race shorthanded or fully crewed offshore, and some head south and cruise the Caribbean. Many are individualists who have been changing keels and adding sails. In the 2018 Newport Bermuda Race, four J/121s raced in three different configurations. The point is, the J/121 is a versatile boat that’s ready to sail offshore, and the sailors who buy one all seem to agree that they’d rather do something other than race windward-leeward course configurations. What’s the ideal J/121 crew size? That’s a trick question for this boat. 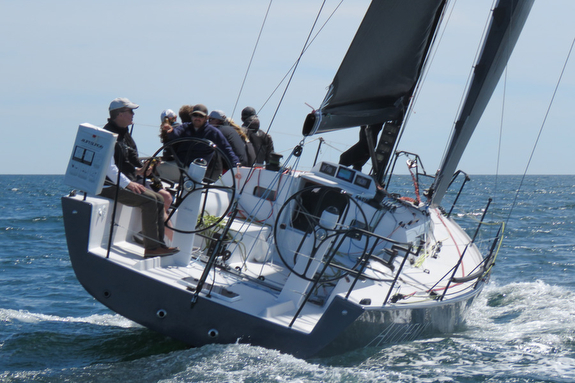 The most crew you’ll ever need is five or six, total, for an event like Block Island Race Week. But, the boat was designed for sailing doublehanded. It sails well without water ballast, but it really shines when you fill the windward tank with 850 pounds of water; that’s like having four or five extra people on the rail. Testing in a strong breeze, we have found the performance is spectacular with a reefed main and inner jib. If you wish to learn more about sailing this high-performance offshore shorthanded speedster, be sure to read the rest of the 10+ page guide. It discusses sail combinations and cross-over charts, Rig tuning, Sail handling, and Boat handling. Read it all here on the North Sails J/121 website. Add to Flipboard Magazine.